This wedding couple photo was taken in Meiji Jingu outer garden,Tokyo, Japan. 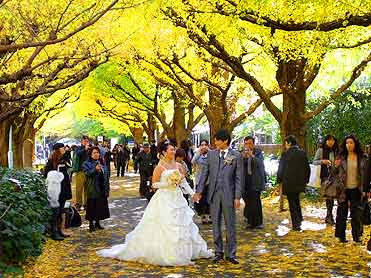 The couple looks very happy under the tunnel of yellow Ginkgo leaves. Photo Nov.20, 2009: Tokyo snap photo.